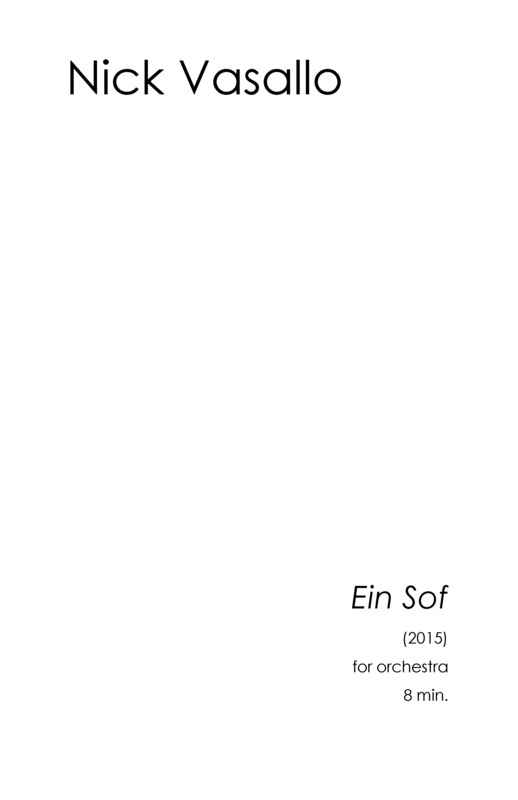 Ein Sof (2015) 8 min. Performed by the University of the Pacific Symphony Orchestra. Directed by Nicolas Waldvogel. Video recorded and edited by Clubhouse Studios. Audio recorded by Bob Schumaker. Composed sporadically throughout the tumultuous month of August 2015. Ein Sof is understood as God prior to his self-manifestation in the production of any spiritual realm. Ein Sof is both perfectly simple and infinitely complex, nothing and everything, hidden and revealed, reality and illusion, creator of man and created by man. Ein-Sof must be constantly redefined, as by its very nature, it is in a constant process of self-creation and redefinition.